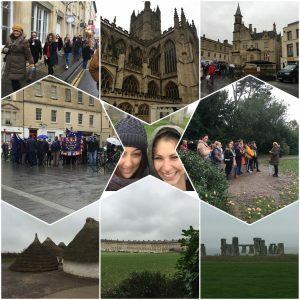 Thank you to all the 200 plus au pairs that joined us on our trip to Bath and the Stonehenge on Sunday, we had an awesome time despite the weather and slight hiccup with one of the buses breaking down..please go to https://bit.ly/2TccMMN to view more pics and feel free to tag yourselves. Our tour to the impressive world heritage of Stonehenge and the historical city Bath was so amazing – informative and well-organized! 😊. We hope all those who attended enjoyed your time and made some new friends!